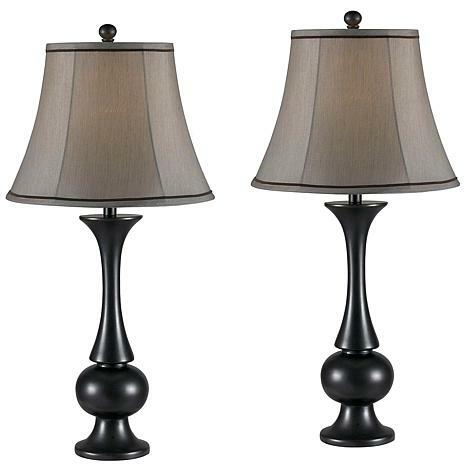 Flank end tables, nightstands, or other locales with this gorgeously subtle pair of lamps, finished in versatile metallic bronze and topped with light silver taupe shades. 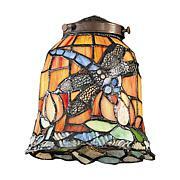 Very nice lamps, just as described. Dark wood, almost black, tan shades, great quality. Very nice! Not to heavy and I love the color...What you see is what you get. They were very easy to put together. Great quality. I really appreciated the price. 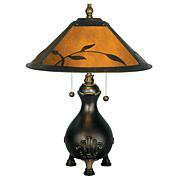 The lamps are gorgeous, more on the black side than a brown/espresso but nevertheless match my furniture. I truly love them. 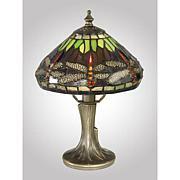 Bought this lamp and came quick in the mail.Great deal for two lamps.They are beautiful and came in great condition . Bought additional one because I love it so much! Disappointed!! Only one shade in package. 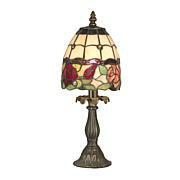 Lamp base described as bronze: actually more onyx or ebony.Advised by customer service that it would take 21 days to get an RGA. Why was one not included as other suppliers do?Package will be sent back immediately upon receipt of return authorization.